Joe Gandelman performs at libraries across California, as he has for more than 25 years His show has been featured at libraries from Needles to San Ysidro to Los Angeles to Palm Desert. Each show is geared to the library’s theme, packed with LOTS of characters, interaction, laughs and stresses the joy and importance of reading books — and of reading skills in today’s Internet age. A show stressing the importance and JOY of reading. A funny, interactive show adapted to your theme and any age group. 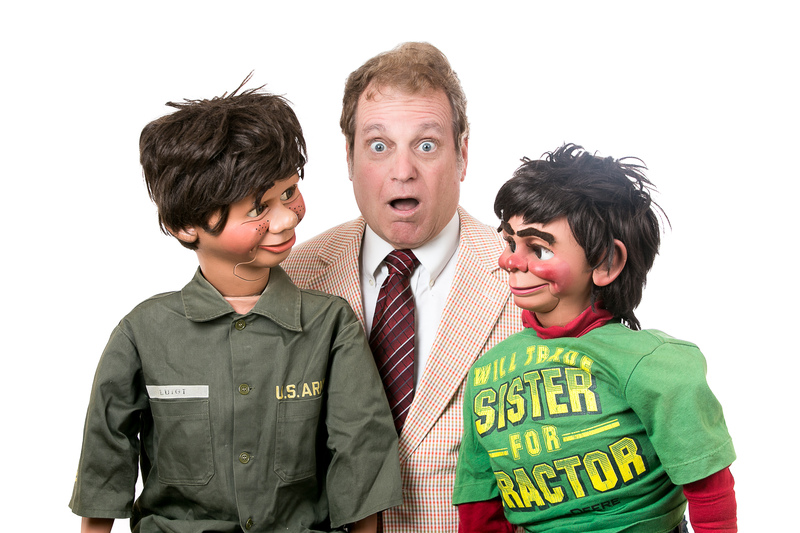 A segment where kids learn some ventriloquism and puppetry secrets — and some kids try a dummy. A family show performed throughout the United States and in Canada. Click here to read what the Hi-Desert Star had to say about Joe’s Library shows. 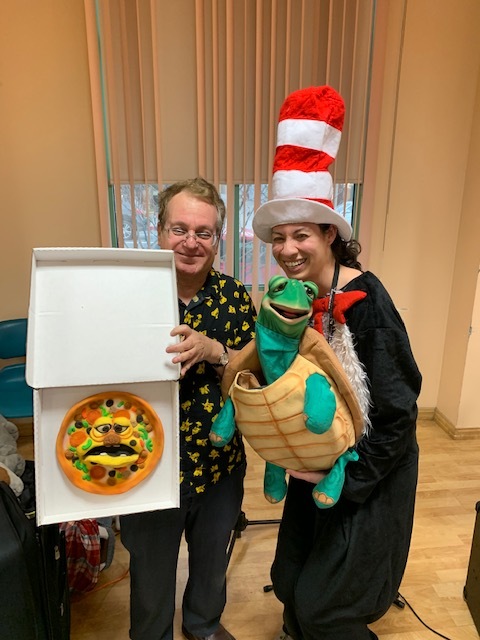 Joe and Studio City Librarian Lauren Kratz with two of his puppets after his show at the Studio City Library in Studio City.